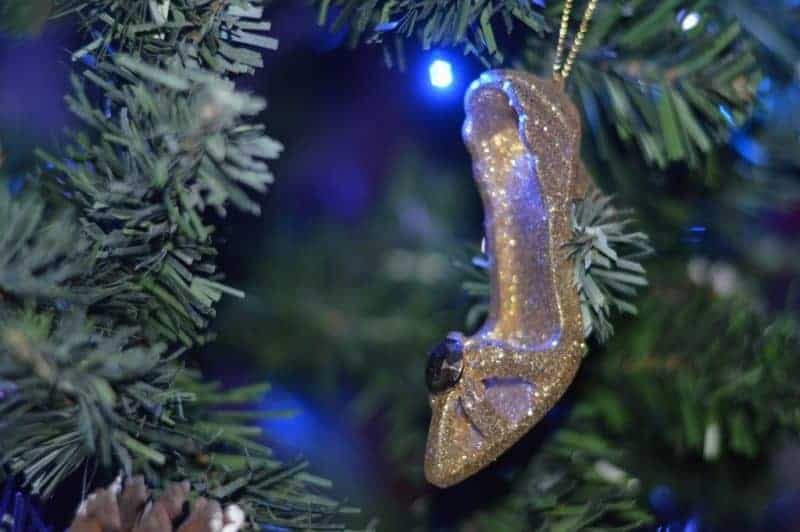 As a child, I can remember that decorating the Christmas tree being a big occasion. My mum would pull out all the decorations from where she’d been hiding them all year. Before we each got the chance to place the mixture of old and new decorations on the tree. From the glass baubles that had been handed down to her from her own childhood. To the handmade snowman made from an old tin can and white webbing, that she and her grandmother made when she was little. The snowman has adorned the top of my mums Christmas tree each year, with us each taking a turn at getting to place it on the top. Christmas songs or festive film? When it comes to kick-starting the festive season in our house it too begins with decorating of the Christmas tree. Something that always takes place around the last weekend of November. Having previously worked in a community hospital, I would be on the ward decorating through the night on the 30th November to ensure that as staff members, patients and relatives arrived on the first day of advent, it looked and felt festive. With Mr. Boo getting the unenviable job of retrieving the Christmas decorations from the loft. Whilst myself and the children decide whether or not to listen to Christmas songs whilst we decorate or have a festive film playing the background. Almost always the Christmas songs win out as we can sing and dance to these all around the house. With decorations not limited to the lounge, we wouldn’t want to miss the festive film. So compromise and opt to watch it once all the festive work is completed. Each year we try to think about where the Christmas tree will be placed – especially with Piglet running around and her inquisitive nature. Last year with Piglet just about finding her feet, we opted to place it in the hallway. Which was lovely when we came to welcome family and friends over. However, one of the bonuses from having your tree in your lounge is that as the nights draw in you can sit and snuggle up watching Christmas movies with just the twinkle of the Christmas lights on the tree. We missed this last year, so we are feeling brave this time around with the Christmas tree placed in the corner of the room. Enclosed by the sofa and a side table in the hope that Piglet doesn’t go exploring. Whilst the main Christmas tree may be the focal point for the lounge, it doesn’t mean that this is our only Christmas tree. Oh no. Both Roo and Tigger have Christmas trees in their rooms each year. With their own set of decorations and lights. As Roo turned eleven this month, we decided that it might be time to upgrade her previous pink Christmas tree with something a little more grown-up. Although I had, had visions of adding a cute 4ft tree, it seems that a 6ft festive fir was the tree of choice – which lucky fits in the corner of her bedroom beautifully. Whilst the Christmas tree itself is important, it does come down to size, shape, colour and of course, the big debate of real vs fake. 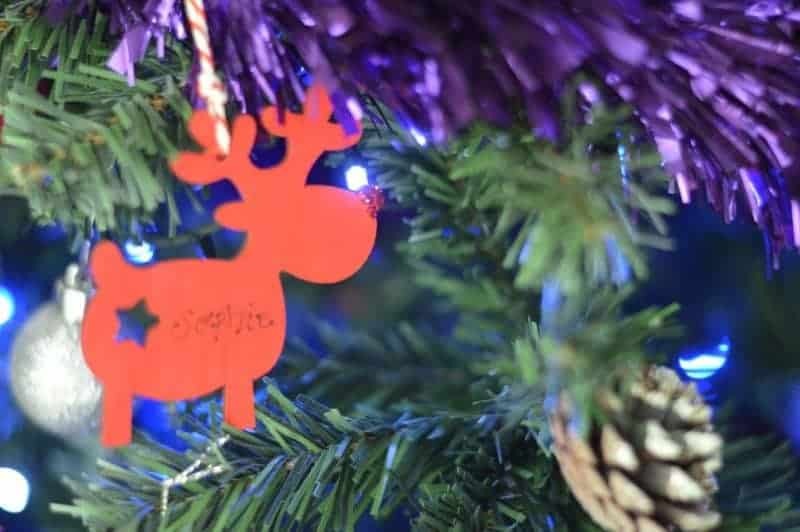 For is it is all about the decorations, the baubles, the tinsel and twinkling fairy lights. Adding a mixture of decorations that we bought for our first Christmas together, along with ones we have selected over the years with the children. Without forgetting the extra special ones that the children have made at nursery or school. These are the ones that bring a tear to my eye every time I unwrap them, whilst pretending that I just have dust in my eye. Although the children’s Christmas trees have a more haphazard approach to placement of Christmas baubles. The family tree, the tree that guests will see when they visit, the tree that I will look at through the course of the festive season. This one has its own recipe for ensuring that it sparkles and twinkles throughout the coming weeks. It starts with the lights going on first, followed by the tinsel and tree skirt. Before the main event of placing the children’s creations, the personalised decorations, and the ones that we have collated over the years. I’m not sure if it is by happy accident or my subconscious getting involved but the majority of our decorations are in threes. With three children this helps as they can place the decorations (with placement suggestions from myself) plus, three of the same style just seems to work beautifully. Each year we will look out for something new to add to the tree, taking a look at the top 5 baubles for inspiration. This year we found some gorgeous glass star decorations (which just happen to come in a pack of three) to add to the tree. Which when the fairy lights catch them really make them twinkle. With the Christmas trees decorated and twinkling, it is time to start decorating the rest of the house. When do you decorate the Christmas tree? about 2 weeks before the big day! Awwww we simply LOVE LOVE LOVE Christmas and Christmas Ornaments are our favourite. Love how you add one each year.